There is no better way to secure a successful ending to your year than to boost your marketing efforts, specifically with the addition of aerial advertising. Not only will aerial banners, advertising blimps, and/or sky written messages catch the attention of the public, but they will also put your ad above the competition (literally!). If you and your team start planning out an aerial advertising campaign now, you will be a step ahead of your competitors. 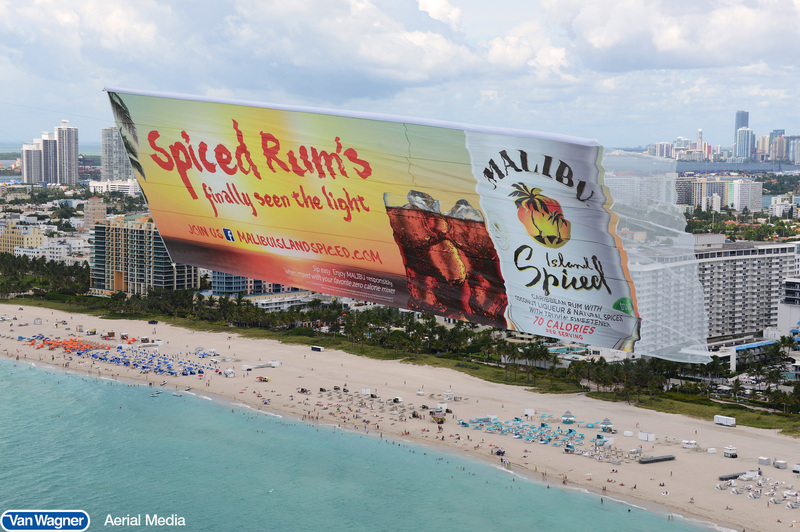 Many believe once summer season comes and goes that the effectiveness behind aerial advertising goes right along with it. Wrong. The 4th quarter is an ideal time frame for any company’s marketing campaign to take flight with aerial advertising. With the kickoff of certain sports seasons and the start of beautiful weather in parts of the US, aerial advertising is just as effective as it was during the beach days of summer. 1. NFL Football – NFL games draw some of the largest crowds in the sports industry. The average football stadium in the US holds between 70,000 and 100,000 fans each game – not to mention the millions tuned in at home watching from their couches. Not only is the number of people you are targeting substantial, but they are also one of the most loyal and diverse fan bases in the sports industry. Advertising your brand here is a perfect tactic to get all eyes and attention on whatever it is you are marketing. 2. NCAA Football – Similar to NFL football, NCAA games attract an audience that is just as significant. Not only are you connecting with the male audience and family audience from the NFL games, but you are also appealing to the young, college crowd. The college demographic is an essential target in any marketing campaign considering that students are still young enough that they haven’t cemented any brand allegiances. 3. Florida’s Climate – Beach season typically ends around the beginning of October in the North East (if we are lucky). But down in Florida, beach weather is still trekking on. Not only does the beach attract the demographics stated above, but it also targets high net worth individuals vacationing in the area. Because of their deep pockets, these individuals are used to being bombarded by typical advertising mediums. With aerial advertising on the other hand, it allows you to break away from the clutter and look as if your marketing campaign is simply coincidental. Is your business ready to tap into this game-changing advertising medium? Whether you want to strengthen your marketing campaign, or close out the year with a bang, aerial advertising is the perfect way to do it. Please don’t hesitate to contact Van Wagner Aerial Media with any questions you might have. Contact us today -- we’d be happy to help! Or, click below for a free quote! Not quite sure if you're ready for an aerial campaign? Download our free e-book!